Grave Sec. Panel 54, Column 1. 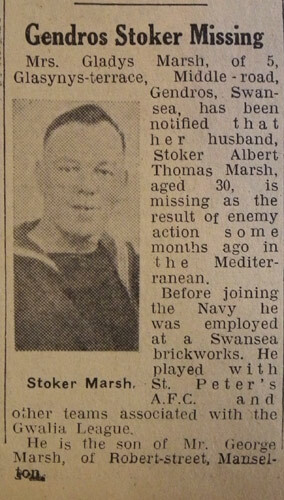 Additional Information: Son of George and Anne Marsh; husband of Gladys Marsh, of Erith, Kent. Gladys Lockett (Marsh) and 2 more people. Without further information I can not be 100% sure.